The siblings, two of the most prized American prospects in generations, are set to lead a strong Team U.S.A. deep into the tournament. 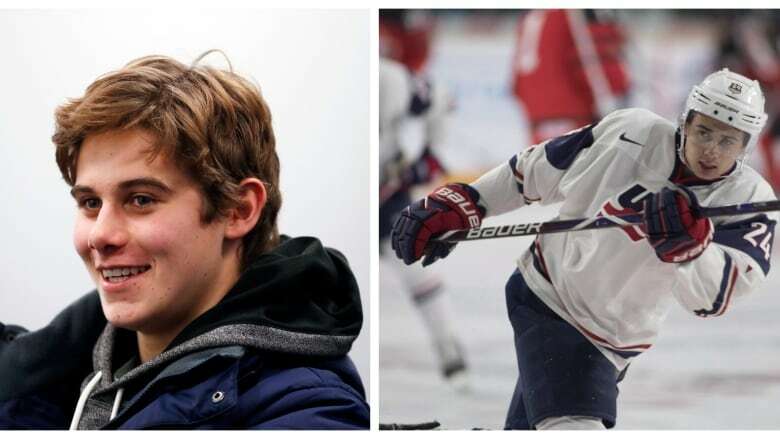 In a province where two brothers dominated the ice for 17 seasons, hockey fans will be watching another set of siblings looking to make their own mark at the world juniors. 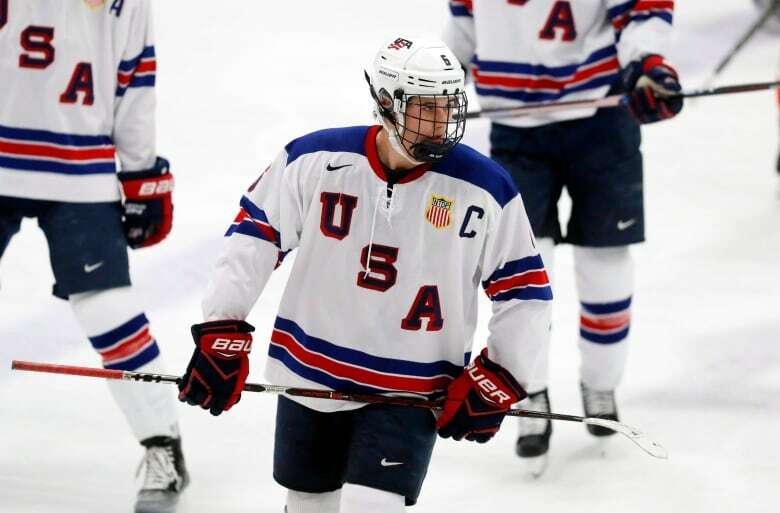 Quinn and Jack Hughes are two of the most prized American prospects in generations, and this year's tournament is their chance to showcase their skills alongside each other. Quinn Hughes is best known as a strong skater and slick puck-handler capable of both leading the offensive charge and recovering defensively. "You can see right away that he's the best player on the ice," said Rian Ratnavale who covers Quinn's team for The Michigan Daily, the school's student newspaper. Hughes, 19, is on a better-than-point-a-game pace with the Wolverines this season. He played at last year's world juniors in Buffalo, collecting three assists in seven games. While he's a bit on the small side for an NHL-level defenceman, Hughes compensates with uncanny vision and passing ability, which makes him invaluable on the power play. "He's been more efficient this year too," said Ratnavale. "I think that's the biggest thing that he's done this year." There's not a more hyped player at this year's world juniors than Jack Hughes. The centre has been raising eyebrows since he played for the Toronto Marlboros of the Greater Toronto Hockey League, registering 73 points in just 33 games in 2016-17. Eligible for the Canadian Hockey League draft, he instead elected to further his career with the United States National Development Program, a team of elite American prospects that play exhibition games against U.S. junior and collegiate teams — a major step up in competition for a 17-year-old. Because his team only plays sporadic tournaments and exhibitions, there's a whiff of mystery about Hughes, but in his limited appearances he's given scouts plenty of things to see. He's managed 48 points in 25 games against that tougher competition so far this season. Top scouts are near unanimous in ranking him first among all prospects, citing his speed, puck-handling, scoring, hockey smarts and leadership. 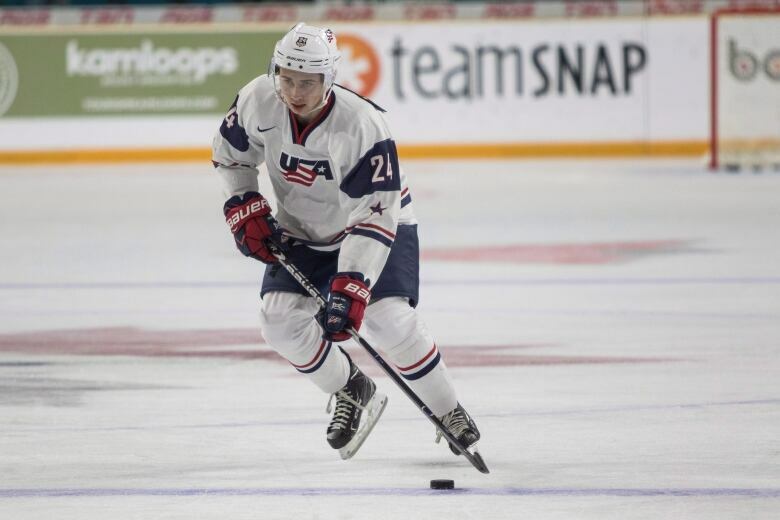 That hype has prompted a "lose for Hughes" slogan among fans of slumping teams — in a league where 24 of the 31 teams are U.S.-based, the prospect of a made-in-America superstar has many teams hoping they get the chance to select him near the top of this spring's NHL draft. Matthew Black is a B.C.-based writer, producer and reporter. He writes mostly about sports and has worked for CBC in Toronto and Vancouver as well as abroad in London.